Rod Buntjer Bail Bonds is a family owned and operated bail bond company that has been in business for over 35 years. 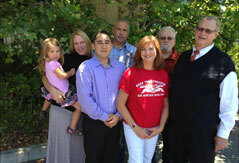 The expert staff at our Sonoma County bail bond company are trained to recognize your needs with just a few questions. We offer the lowest rates allowed by law and will adjust to every individuals economic situation. We know that every case is unique and so we adjust to your needs. People rely on their family members when they are going through tough times. Let the staff at Rod Buntjer Bail Bonds be your family through this trying time. Trust in a team that is built on a trusted name. Experience the difference knowledgeable bondsmen can make in delivering your bond fast.